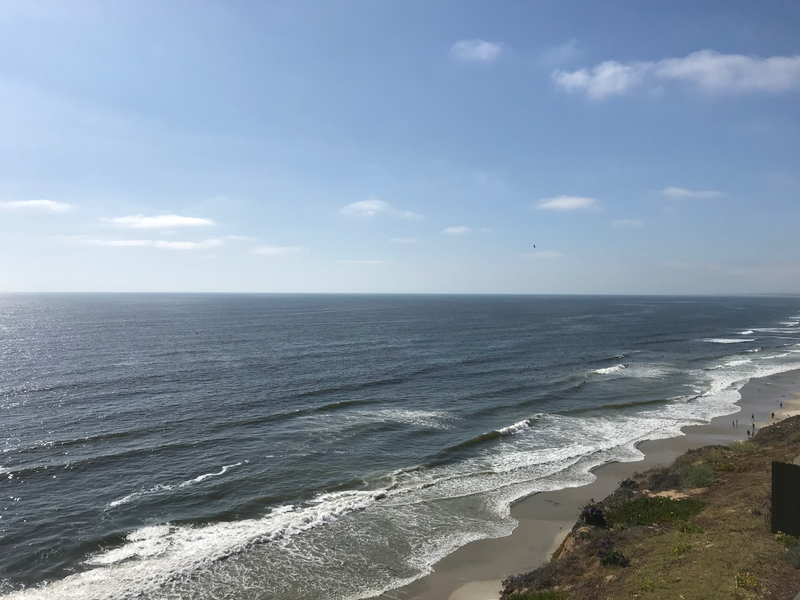 Just north of San Diego, there is the wonderful town of Encinitas. It is a nice relaxing surfer (or beach bum) town with excellent dining in the heart of the town itself. 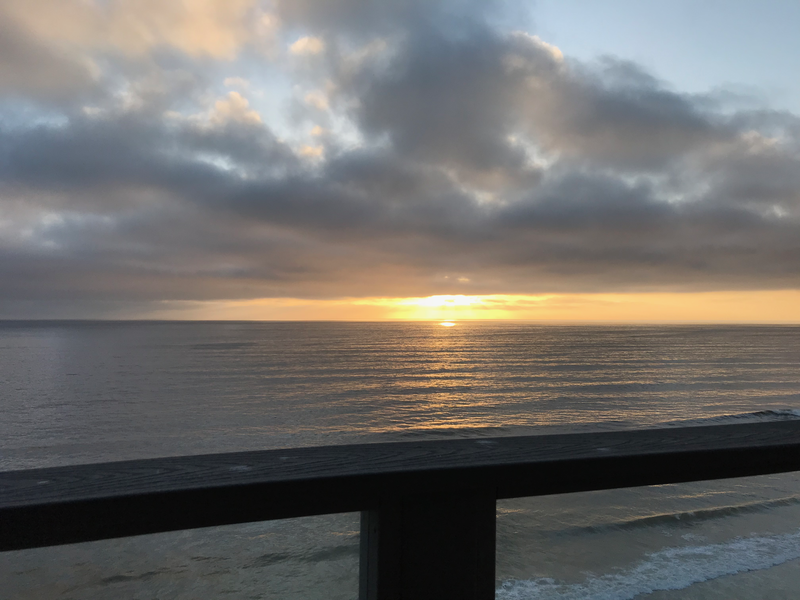 A great little taco shop right off of North Coast Highway 101 that is not your normal tourist cafe – which is perfect! While normally a corn tortilla fan, they have the best wheat tortillas. 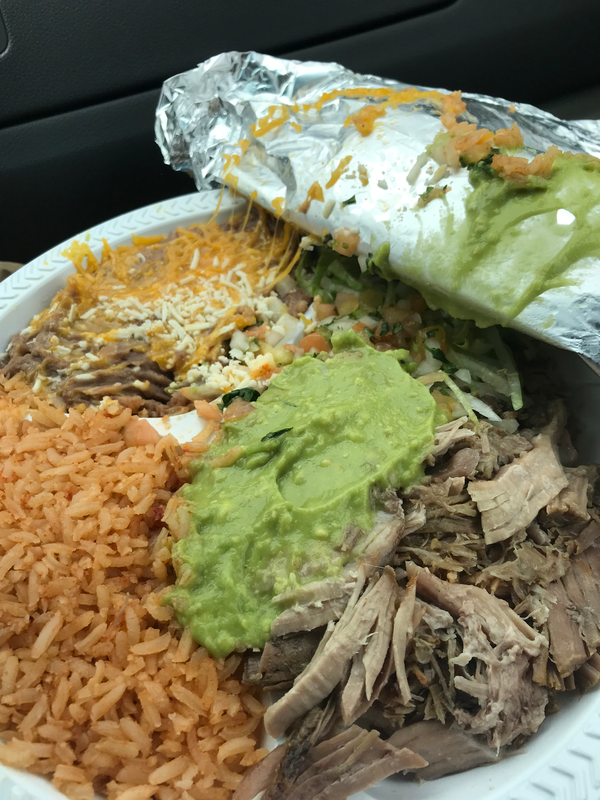 This is a picture of the to-go carnitas plate where the beans are creamy, the rice is delicious yet light, the meat is flavorful, and the avocado and salsa were just gorgeous. Yeah, we visited Juanitas Taco Shop pretty regularly! 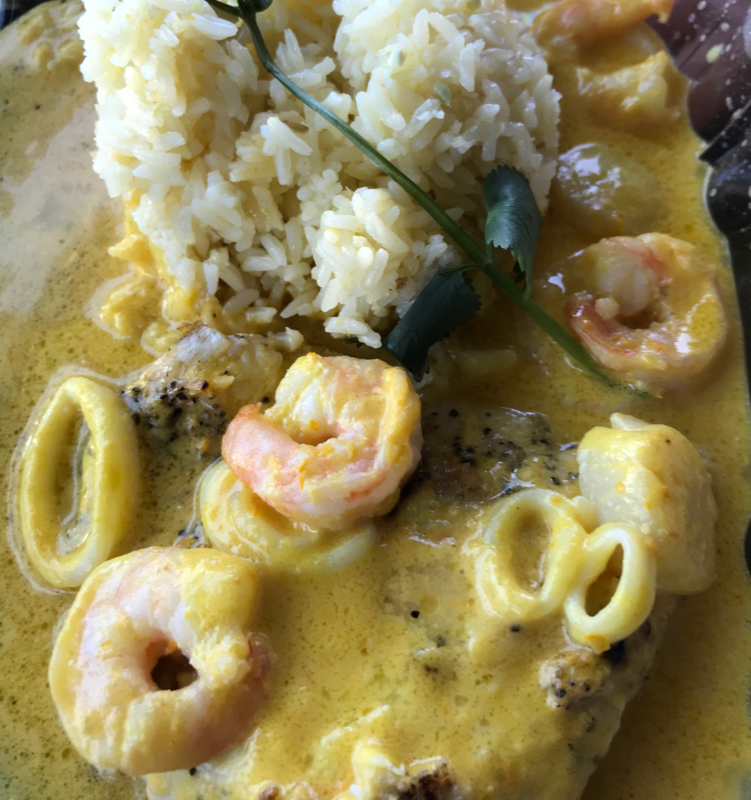 I’m always a fan of ceviche and great Peruvian food in general. 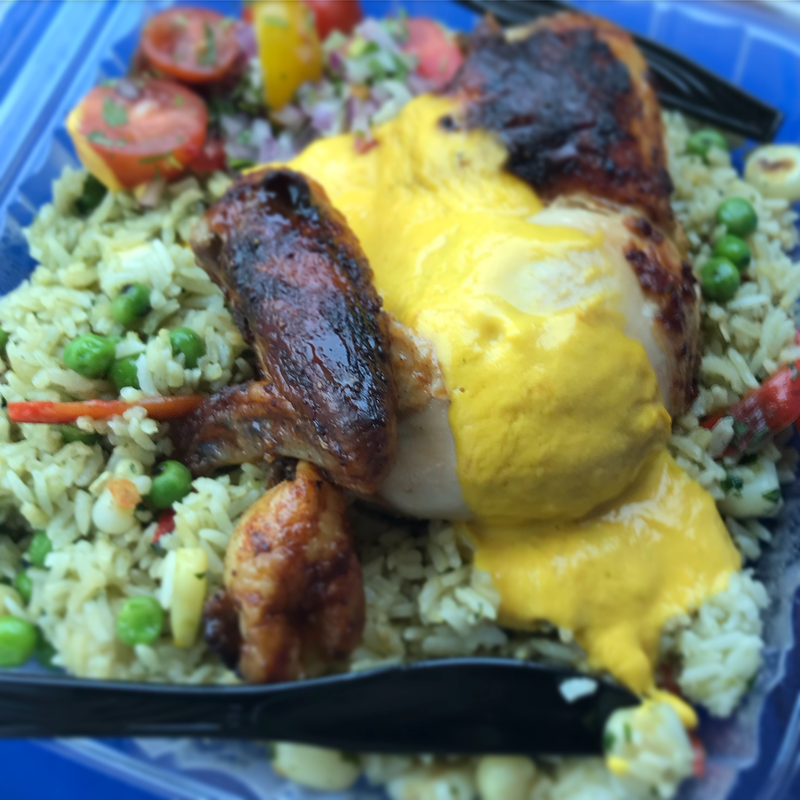 And to our pleasant surprise, Pisco Rotisserie & Cevicheria is in San Diego and provides some awesome dishes including seared Pisco fish and arroz con pollo as noted below. Honey’s Bistro & Bakery: It’s a great little breakfast diner that has large portions yet tasty! 101 Diner: An old-school diner that is often crowded so line up early! Philz Coffee: Yes, I realize that this is a coffee shop originated from San Jose but its still a great coffee shop! Check out Ambrosia Coffee of God – you’ve never tasted drip coffee this awesome! Betty’s Pie Whole: A great little pie shop surrounded by nurseries – just go! Ironsmith Coffee Roasters: Smooth properly roasted coffee with specialty coffees such as the turmeric ginger latte (a personal favorite). The Crack Shack: Yes, I realize this is a Cali franchise but yeah, this is a rockin’ chicken joint!